Content Creation, Editing, and Management/Curation. Commercial, Open-Source, and Custom software. Please inquire for an individual quote. 1980 - present Self Employed (wlindley.com) Bedford, Mass. ; Mesa, Ariz.; Scottsdale, Ariz.; Jacksonville, Fla.; Glenview, Ill.
Contract consulting/design/programming. Printer and disk device driver creation and support. Design and implement dynamic, static, and semi-automated web pages. Clients included: Inkjet Southwest, Commerical Shotcrete, Foam Lite Concrete, Golden Eagle Homes, Western Landscape Architects, Murals by Medley, and artist Samuel A. Morse. Former webmaster for the Arizona Rail Passenger Association, the United Rail Passenger Alliance, and InterRail. Texas Instruments Semiconductor Group, 1991-2000: create, support, and document CAD automation systems including format translation and document management. Fox Technology, 1990-1992: supporting programmer for Tactical Sensor Program [3-D graphic map software for Air Force]. Member of hardware/software development team on video production character generator/paintbox/animator; Systems Programmer responsible for creation and maintenance of authoring language; Applications Programmer for touch-activated interactive graphics and videodisc system (public access; building directories; USGA Golf Museum exhibit). Created and maintained modules for commercial PDP-11 accounting system running RSTS/E and BASIC/PLUS-2. Member, Phi Kappa Phi honor society; Northeastern Honors Program. College course. Activities: German Club, Computer Club, Math League, and Television Production. 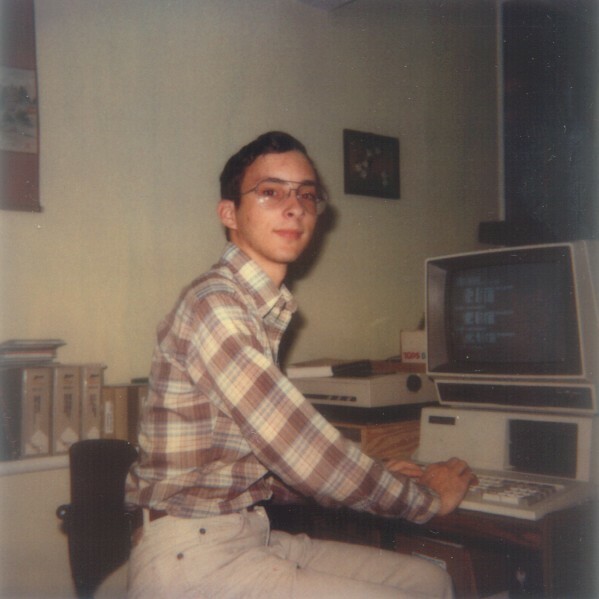 Mr. Lindley has been a software developer and computer consultant since 1980, when he started the predecessor company to wlindley.com, l.l.c. My first commercial product was the “Ultimate Printer Driver” originally released in August 1980, which I co-developed with my father, Robert A. Lindley. 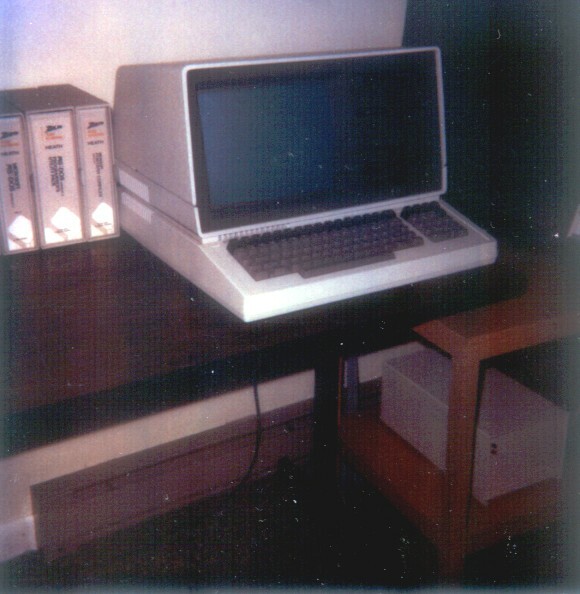 This driver permitted a variety of printers to be used with a Heathkit H-89 running HDOS (Heath Disk Operating System, typically with 48K of RAM and a single 90K disk drive). The standard HDOS distribution only supported Heathkit printers; our Ultimate Driver supported printers from BASE-2, Epson (starting with the MX-80 and MX-100), Okidata, Dataproducts, and many more. Robert Lindley passed away in 2014 after fighting colon cancer and we miss him dearly. 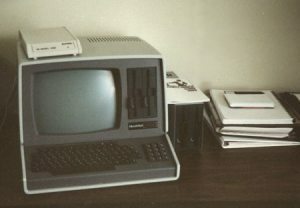 In the mid-1980s, I expanded from printer drivers and sold hard disk systems (known as “Winchester” back then) which combined standard hardware components with custom engineering and software drivers. If you like these heritage programs, please consider a small donation for their continued hosting here. Thanks! The software below, originally copyright © wlindley.com, or its predecessors LS Software, or Lindley Systems, is hereby released into the public domain, “AS IS” WITHOUT WARRANTY OF ANY KIND, EITHER EXPRESSED OR IMPLIED, INCLUDING, BUT NOT LIMITED TO, THE IMPLIED WARRANTIES OF MERCHANTABILITY, FITNESS FOR A PARTICULAR PURPOSE, OR NON-INFRINGEMENT. LS Software’s EGAD Screen Print is now available for free download. Form Fill-R and Source Code. Runs on both H/Z-100 and PC compatibles. Z-UTIL H/Z-100 utilities including rudimentary emulator for IBM PC BIOS, enabling a few very early programs to run. These drivers and other programs for the HDOS and CP/M operating systems may be used on H/Z-89/90 and H/Z-100 computers. Source code is included, with object / executables where applicable. These drivers are good examples of how very small, efficient code can be incredibly powerful. PC89LINK v 2.01. Miscellaneous bits, HDOS and CP/M source code in C, missing .ABS and .COM files but with .EXE’s for MS-DOS and Z-DOS. DIAMOND Accounting for HDOS. ZIP file includes contents of both original disks. Runs the printer with standard [serial or parallel] cable, no special wiring or soldering, just set the switches. Controls all printer functions from any text file or your keyboard. Special code for long lines, overstrike, underlining, super and subscripts. HDOS SET options displayed with the HELP command. HDOS version has LP0: -> LP4: programmable initialization sequences. Assembly switches for serial and parallel interfaces: H/Z-89, H8-4, H8-5 serial; FBE, TRUDATA, H8-2 parallel; or add your own. Full source code included; change as desired. Full documentation included on disk. Easy to use 8×10 character generator to design your own set of 128 characters. Normal and inverse printing of all characters. H/Z-19 character set supplied. You can start with this set and generate any language or special graphics you desire in the 8×10 matrix. All characters can be printed from keyboard or text file. Supports ESC p, q, F, and G; not ESC Y. Produces 60 or 120 characters, 480/960 dots, per line. Excellent for forms and special effects. 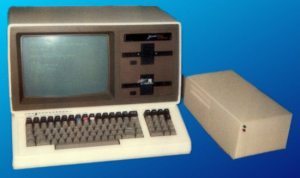 The Semi-Virtual Disk — a project you can buy or build yourself, that plugs into a standard floppy socket… to your computer it looks just like a floppy disk, but all the data is stored in RAM onboard! So then you can plug the same device into another computer of an entirely different variety and read/write the data. I haven’t tested one but it sounds pretty amazing.